Scanned Documents. Jewish Federation of North America. 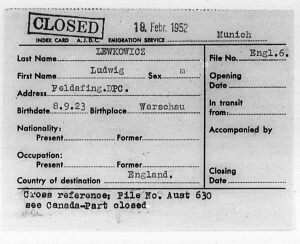 The Jewish Federation of North America have a database of searchable names, with over half a millions names in the index. They come a variety of sources and cover many time periods. 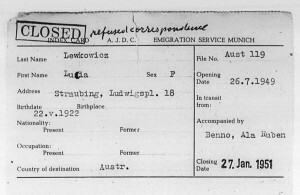 There are the Jewish Refugees Arriving in Australia via Melbourne, 1946-1954, Refugees in Zbaszyn, Poland in 1938-1939, Transmigration Records, Palestine Remittances in 1918, Shanghai Refugee Client List in 1950, Free Parcel Service in the Soviet Union for 1943-1945, Vilna Refugees in1940, Poland Remittances 1 for 1915-1917, Aid to Rabbis in the Russian Empire and Palestine in 1916, CARE Packages to DP (Displaced Persons) Camps I for 1946-1948 or just index card with information, so many other types of documents. 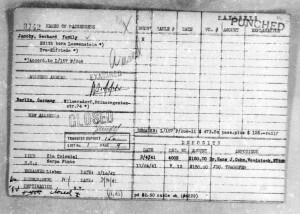 Some of the information is transcribed and written out for you and other also the scanned documents. You will click on any names of interest and more details and what scanned items are listed. 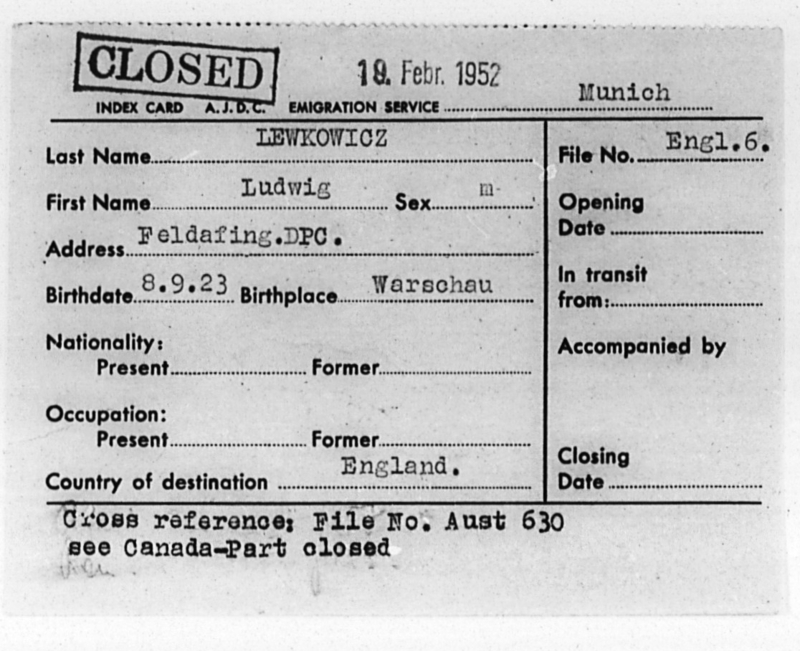 Having the opportunity to view some of these documents can provide a treasure of information. In your search if you are off a bit in the spelling the various forms will be listed. Be sure to check all that are even somewhat close — you never know. If you have many name to check, take it slow and review everything, even if you are not sure. 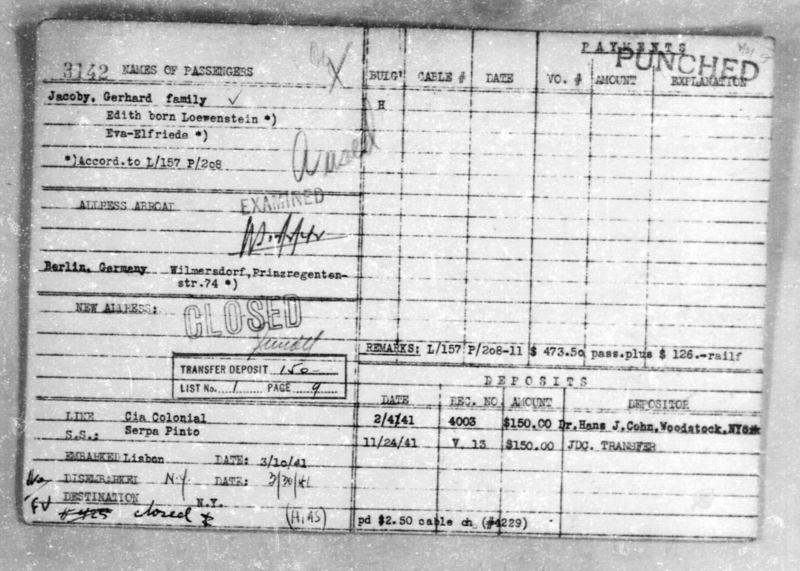 ‘Save’ document of interest, you might learn about that relative later. 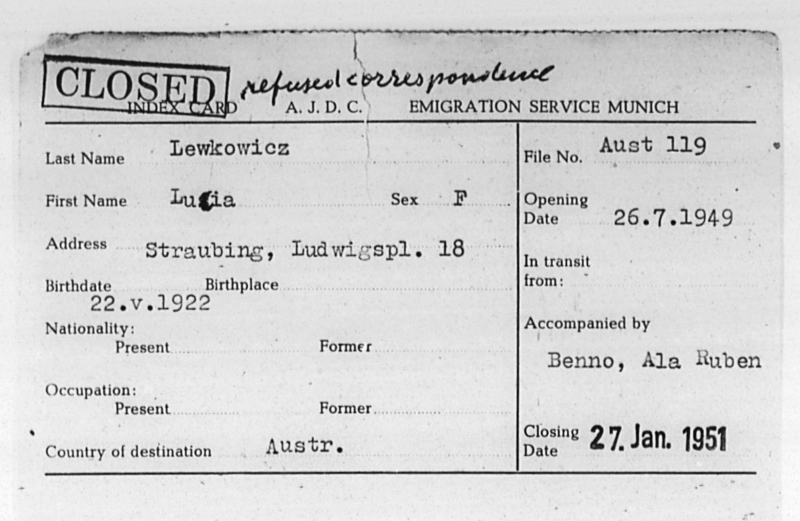 Photos: Documents for Gerhard Jacoby in 1941, Ludwig Lewkowicz in 1952 and Lucie Lewkowicz in 1949.